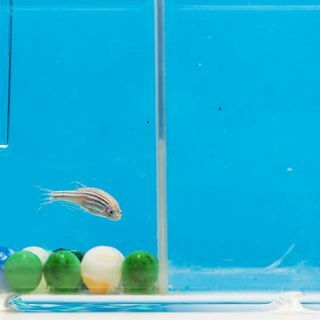 Would happy lab animals—rats, mice, even zebrafish—make for better experiments? David Grimm—online news editor for Science—talks with Sarah Crespi about the potential of treating lab animals more like us and making them more useful for science at the same time. Sarah also interviews Jon Abbatt of the University of Toronto in Canada about indoor chemistry. What is going on in the air inside buildings—how different is it from the outside? Researchers are bringing together the tools of outdoor ... See More chemistry and building sciences to understand what is happening in the air and on surfaces inside—where some of us spend 90% of our time.